There are many different species of Artemisia (200-400), the most commonly known are Mugwort, Sagebrush, Wormwood, Tarragon. Most artemisia-species are high in ketones, which are neurotoxic and should not be used in aromatherapy at all, so make sure that you have the right one; Always check the latin name. Artemisias belong to the family Asteraceae, as does chamomile, tansy and other plants. The most renown artemisia is Mugwort (A. absinthium) which was used to make the alcoholic beverage “Absinthe”. Due to absinthe’s content of thujone (a neurotoxic) it was prohibited in the early 1900’s. 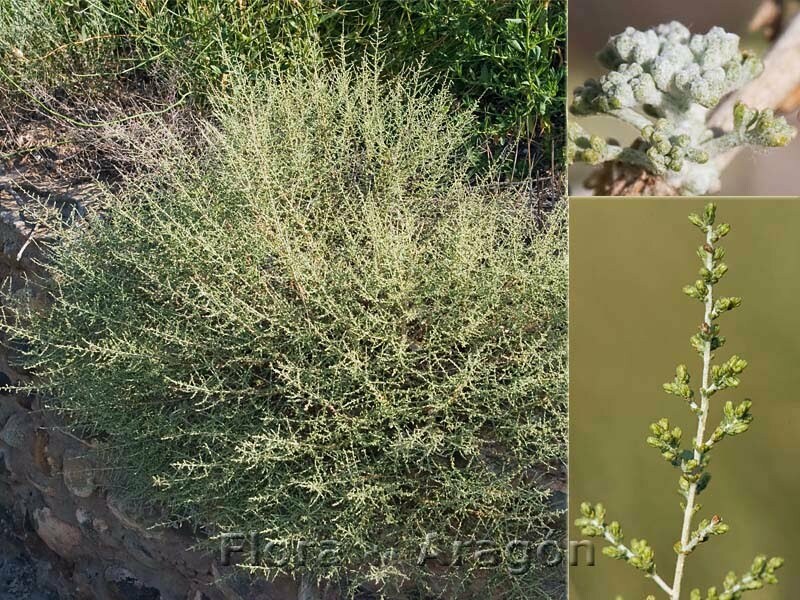 White wormwood (Artemisia herba alba). Shih in Arab, Armoise blanche in French, la’anah in Old Testament Hebrew. It is also known as desert wormwood. The name Artemisia comes fron the Greek Artemis, the goddess of hunting and the moon. W. Wormwood is a low-growing shrub (20-40 cm) as opposed to its northern cousins that can grow to a height of 1-2 m. They are dry-land plants found in the desert-like vegetation in Central Europe, North Africa, Middle East and Asia. The leaves are strongly aromatic, hairy and have a greyish tinge, the flowers are small and yellow. It’s taste is extremely bitter. The essential oil is obtained by steam distillation. The scent is gorgeous; sweet, herbaceous with a bitter tinge on the end-note. It is strong and predominant in blends. As the name Wormwood indicates, it has traditionally been used as a remedy for intestinal parasites. The plant is a digestive stimulant and used for its antiseptic and antispasmodic properties. 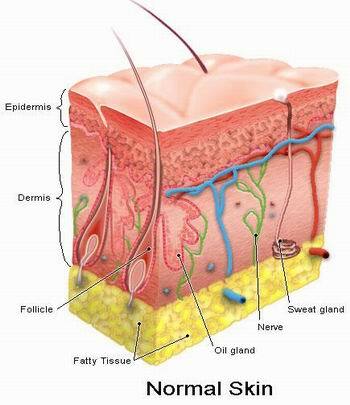 The essential oil has slightly antibacterial properties. One of the chemical constituents of the EO is 1.8-cineole which would make it useful for respiratory problems. It is also believed to help regulate menstrual cycles. Personal experience: I don’t use White Wormwood for specific physical conditions but have found it very useful on a vibrational and emotional level. I use it when there is inner nervousness; in low doses it is emotionally calming yet clarifying, bringing balance to the whole being. I use it mostly on women and call it the “witch-oil”. It empowers women and help with calming inner turbulence. I believe this is how it can regulate menstrual cycles. It is deeply warming and strengthening, enhancing dreams and visualizations. I find it a truly magical oil when used in small doses. For physical conditions I would rather use the plant. Safety: White wormwood is high in ketones (thujone) so it should be used with care. In high doses it can give head-ache, dizziness and nausea. I use max. 1-2 drops for a whole-body massage. For a room-scent 1 drop can be enough, depending on the size of the room. Do not use for children or during pregnancy. We are more than just physical matter; as the proverbial iceberg, there is even more of us “under the surface”, or surrounding our physical bodies as it were; this is what I call the energetics. The physical body is energy as well, only more dense. We have an energetic intelligence which we call intuition and also an energetic memory. Without knowing it, often without believing it, we constantly use and live through our energetic selves. 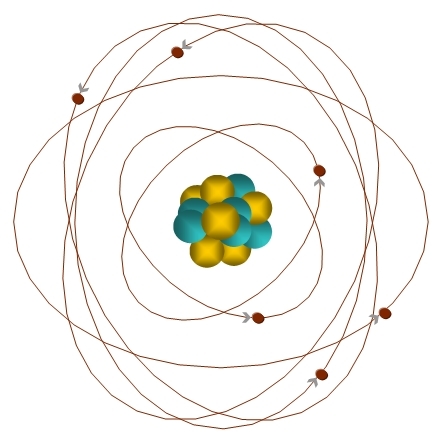 Since all materia is made of atoms it is safe to say that 99.9% of that what we perceive to be matter is space and that the boundaries we believe to be defined are actually atomic radius = energy. So this is what our bodies are made of; tiny specs of materia in a vast space with undefined boundaries. Now we’re talking! All native healing traditions use the concept of energetics; from native tribes all over the world to the more known Ayur Vedic traditions and homeopathy. From widely different cultures, we see the recurrent form of chakra’s and auras, the “basic blueprint” of human energetics. More about chakra’s and aura in following posts. This is such a huge area to get into. 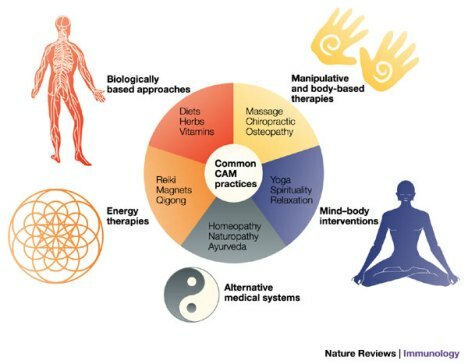 Suffice to say that over the last 15 years alternative / complementary therapy has grown to world-wide acceptance as an aid or means to healing people. Combined with the very impersonal allopathic health-care it can work wonders for many people. It is not about “either or”, it is about “and”. Alongside with aggressive methods to combat disease alternative / complementary therapies can heal a person on many levels. Changing body-parts or aggressively attacking a tumor or virus is not a guarantee for survival or healing. 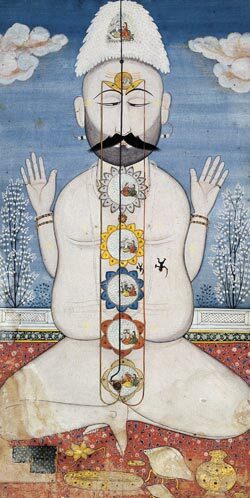 We are so much more than only our bodies; as I have said before – we are intrinsically interconnected body and mind. Healing is needed on all levels. I found this article and wanted to share it. A lot of what is said here is what aromatherapy is all about, and then, amusingly enough, prof. Jacobs (halfway through the article) calls aromatherapy nonsense…this I call ignorance. True, some claims to what aromatherapy can do are not realistic and there tends to be this “pink cloud” enveloping the idea of aromatherapy. But these are only wishful ideas; true aromatherapy is something quite different; it is the knowledge of how to use essential oils (realistically) and it is backed up by an enormous amount of scientific study. I think prof. Jacobs should have known this. It’s the too-good-to-be-true weight loss ‘system’ that’s taking America by storm, and its manufacturers hope to launch it here in the next few months. Sensa lets you eat exactly what you want, when you want it, and in the quantities you desire. And it still claims to help you shed around 5lb every month. It achieves the impossible – its makers say – by making sure the quantities you desire are not very great. Sensa comes as granules that are added to every meal and snack you eat. Put simply, the Sensa “sprinkles” are designed to enhance the sensory experience of eating, stimulating taste and smell to an extent that fools the brain into thinking you’ve eaten more than you have. Users have reported the novel experience of happily leaving food untouched on their plates. Depending on which expert you talk to, taste is between 75 and 90 per cent about smell, and Sensa is not the only new product on the market in the States that claims to exploit the apparent connection between strong smells and smaller appetites. SlimScents are pens filled with fruity or minty smells, sniffed before meals. Aroma Patch is vanilla scented and worn permanently, like a nicotine patch. All boast scientific validity. A limited number of studies have been done. 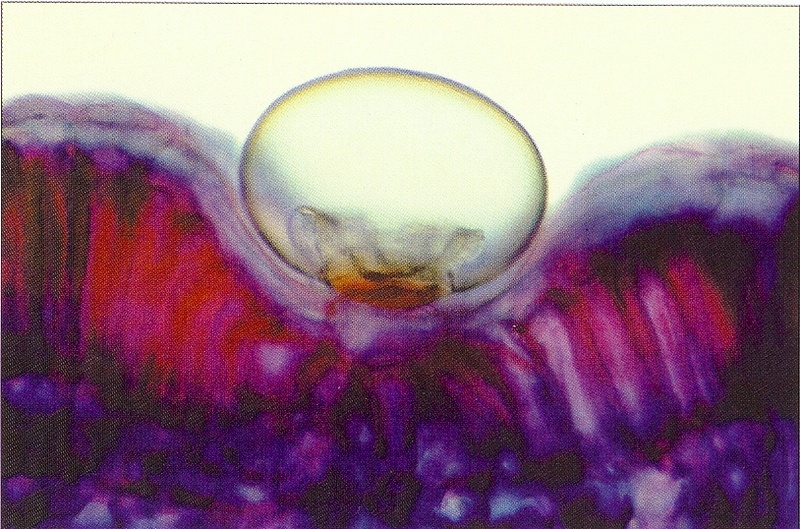 Dr Alan Hirsch, the scientist behind Sensa, conducted his own research in 2005 on what would later become Sensa granules. The study followed over 1,400 subjects over a six-month period, and recorded an average weight loss of 30.5lb, and a five-point drop in Body Mass Index. Kimberly Tobman, a spokeswoman for Sensa, says those results have since been duplicated in a smaller study carried out by an independent laboratory. And last year Dr Bryan Raudenbush, an associate professor of psychology at the Wheeling Jesuit University in West Virginia, conducted a small study which found that subjects who regularly sniffed a peppermint aroma consumed, on average, 1,800 calories fewer over the course of a week than normal. Raudenbush is not convinced by the miraculous claims of Sensa and others, and suggests we take them “with a grain of salt and cautiousness”. But he does think something is going on. He believes that something similar may be at work in the appetite experiments: strong smells are distracting participants from physical discomfort, whether that means pain or hunger. Professor Tim Jacob, an expert in smell and taste at Cardiff University’s School of Biosciences, is more sceptical of the connection between strong scents and weight loss, not least because we tend to get habituated to smells very quickly. But he thinks the idea that scents can distract us from pain or allow us to endure more of it is valid. 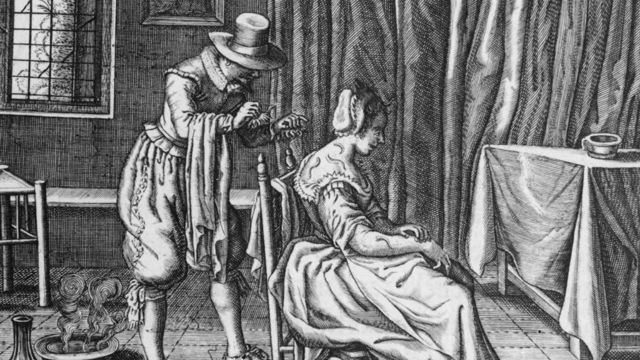 “The olfactory (sense of smell) system and pain share some brain networks and it’s thought that the positive consequences of experiencing pleasant or familiar odours offsets pain to a measurable extent,” he says. In fact, there’s increasing excitement in the scientific community about the power of our sense of smell, and what consequences this may have for psychological and physiological health. Though much of the research is in its infancy, various studies have shown that scents like peppermint, vanilla and coffee may have therapeutic effects. In a recent study published in the Journal of Agricultural and Food Chemistry, for example, researchers at the University of Tokyo found that inhaling Linalool, a natural chemical found in flowers and spices, significantly reduced stress levels in rats. And a study at Tubingen University in Germany showed that vanilla fragrance reduced the startle reflex, making us calmer. Scientists involved in this research are keen to distance themselves from what many see as the quack principles of aromatherapy – the complimentary therapy that recommends administering pleasant smells for anything from cancer to the common cold – which Professor Jacob calls “nonsense”. But Jacob and others in the field of olfactory research believe the connection between smell and memory – and the associative power of odour – represents a hugely promising avenue of investigation. And, as Professor Jacob suggests, it may be possible to programme smell associations for particular therapeutic tasks. In the most famous study of this kind, healthy male volunteers were injected with insulin every day for four days and their blood sugar fell. At the same time, they were exposed to a smell. On the fifth day they were just given the smell, and their blood sugar still fell. Such findings hold out the promise of some pretty mind- boggling medical advances, from diabetics with inhalers instead of injections, to insomniacs cured by a smell they associate with sleepiness. We’re not quite there yet, but as Jacob says, “watch this space”.